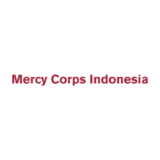 Working in the Disaster Response Program team within the Program function under the direction of the Program Manager and dotted line relationship to Team Leaders in Palu and Lombok. The Data Management Assistant is responsible for tracking payments, expenses and commitments on a daily basis for Palu and Lombok project to enable the Program Manager and other stakeholders to get an immediate snapshot of expenses to date. S/he is responsible for keeping the beneficiaries’ database and distribution data and communicating the findings to the programs team in a timely and accurate manner. Excellent oral and written local and English skills. This position will be hired as temporary staff for 8 months.